Emory University researcher Li Xiong has won a $1.06 million funding award from the Patient-Centered Outcomes Research Institute (PCORI). She will use the award to develop improved methods for building data registries that benefit biomedical research while also guaranteeing patient privacy. Ken Ono, the Asa Griggs Candler Professor of Mathematics, will be giving an MAA invited plenary address at the Joint Mathematics Meeting (JMM) this January in San Antonio, Texas. The JMM, hosted by the American Mathematical Society (AMS) and the Mathematical Association of America (MAA), is the largest gathering of mathematicians in the United States with several thousand participants. Ken will be speaking about his joint work with Michael Griffin and Ole Warnaar on their framework of Rogers-Ramanujan identities, research which has been selected as one of the Top Science Stories of 2014 by Discover magazine. Ken will be profiled in the end-of-the-year issue of Discover magazine. This lecture will be Professor Onos second invited address at the JMM. In 2009 he delivered the AMS plenary invited address. Steven La Fleur completed his Ph.D. in Mathematics at Emory University (2013). Prior to joining the faculty at Emory in 2014, La Fleur held a Visiting Assistant Professorship at Emory. La Fleur's primary research focus is in Discrete Mathematics. His articles have been published in a number of leading journals including SIAM Journal on Discrete Mathematics and Graphs and Combinatorics. Congratulations to Li Xiong, Principal Investigator of a $1.06M research award from the PCOR Institute for her project on "Building Data Registries with Privacy and Confidentiality". Dr. Xiong is Associate Professor of Computer Science and Mathematics at Emory where she also directs the the Assured Information Management and Sharing (AIMS) Lab. The PCORI project builds on her prior research in privacy-preserving information sharing, and brings together medical providers and computer scientists to harness healthcare data for social good without compromising confidentiality. A press release is at http://news.emory.edu/stories/2014/08/xiong_pcori_award/ and a project summary is at http://pfaawards.pcori.org/research-results/2014/building-data-registries-privacy-and-confidentiality-pcor. Lars Ruthotto completed his Ph.D. degree in Mathematics at the University of Münster, Germany (2012). Prior to joining the faculty at Emory in 2014, Ruthotto held positions at the University of British Columbia, the University of Lübeck and the University of Münster. Ruthotto's primary research focus is scientific computing for inverse problems arising in medical and geophysical imaging. His articles have been published in a number of leading journals including SIAM Journal on Scientific Computing, IEEE Transactions on Medical Imaging and Geophysical Journal International. Jinho Choi is an assistant professor in the Department of Mathematics and Computer Science at Emory University. He obtained a Ph.D. in Computer Science and Cognitive Science from the University of Colorado Boulder in 2012. 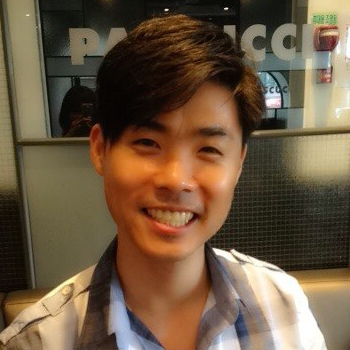 Jinho Choi has been active in research on natural language processing; especially, on the optimization of low-level NLP (e.g., part-of-speech tagging, dependency parsing, semantic role labeling) for robustness on various data and scalability on large data. He has developed an open source project called ClearNLP, providing NLP components with state-of-the-art accuracy and speed, which has been widely used for both academic and industrial research. 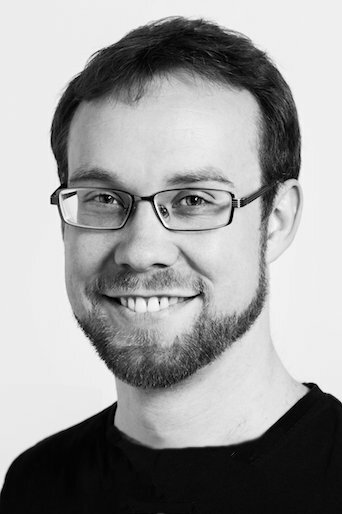 His current research focuses on the development of NLP components for different domains (e.g., social media, medical data) and the applications of these NLP components for end-user systems such as question-answering, information extraction, dialog management, etc. He is also interested in interdisciplinary research where NLP can enhance researches in other areas. Ymir Vigfusson completed his Ph.D. in Computer Science at Cornell University (2010). Prior to joining the faculty at Emory in 2014, Vigfusson held positions at Reykjavik University and IBM Research. Vigfusson's primary research focus is on distributed data replication and security. His articles have been published in a number of leading venues including VLDB, EuroSys, SOCC and the Journal of Parallel and Distributed Computing. 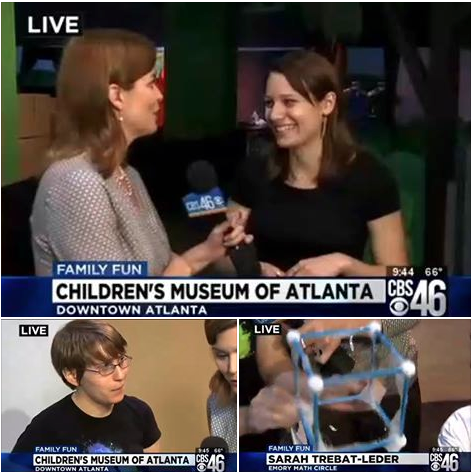 Amanda Clemm and Sarah Trebat-Leder were interviewed this morning talking about the Math Circle program and the fun with shapes and bubbles at the Children's Museum of Atlanta. Their interview can be found here. Mathematicans have found a framework for the celebrated Rogers-Ramanujan identities and their arithmetic properties, solving another long-standing mystery stemming from the work of Indian math genius Srinivasa Ramanujan. The findings, by mathematicians at Emory University and the University of Queensland, yield a treasure trove of algebraic numbers and formulas to access them. Algebraic numbers are among the first numbers you encounter in mathematics, says Ken Ono, a number theorist at Emory And yet, its surprisingly difficult to find functions that return them as values in a uniform and systematic way. Ono is the co-author of the new findings, along with S. Ole Warnaar of the University of Queensland and Michael Griffin, an Emory graduate student.